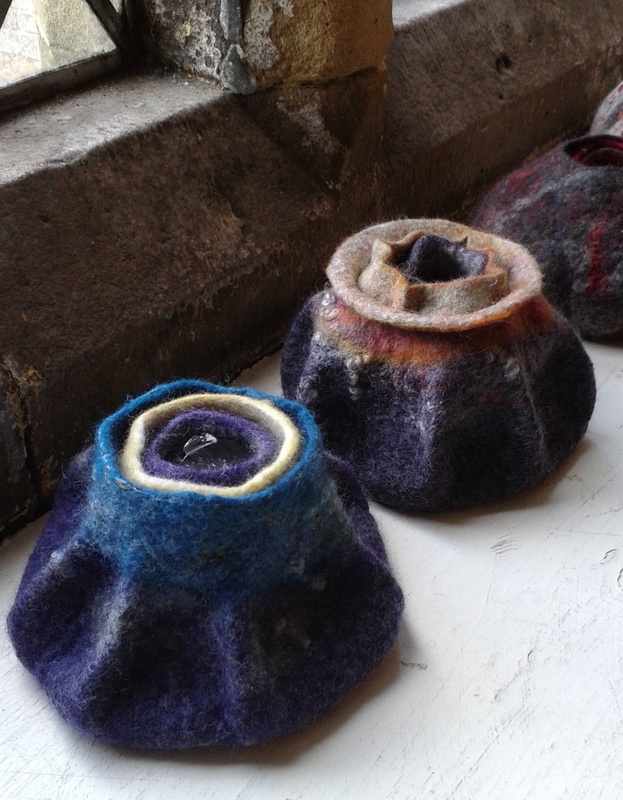 Collection of wet felted vessels made at Jenny Peppers “Multiple Resist” Workshop. 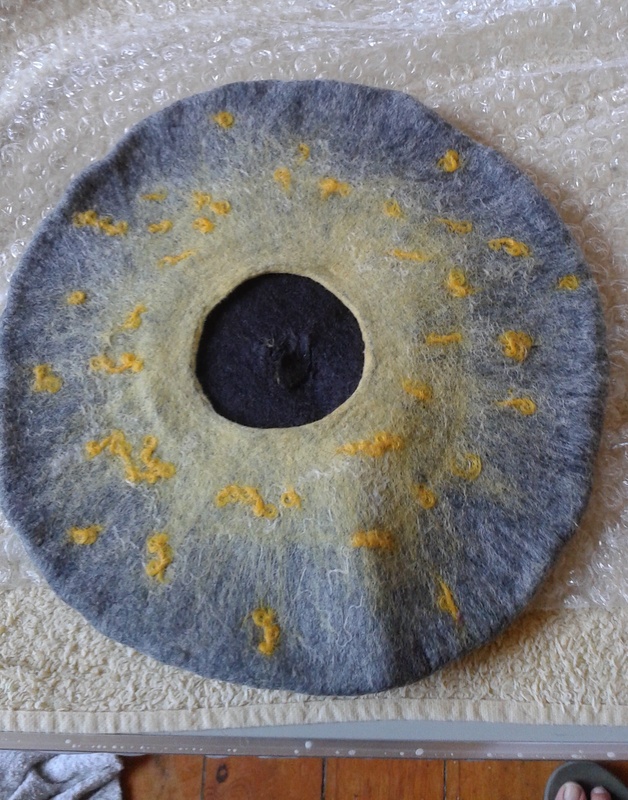 Last Saturday I rode back up north to the beautiful little village of Hutton Buscel to take part in another of Jenny Peppers felting workshops. Once again it was a lovely day with good company, excellent tuition from Jenny, and lots of hard work from the “students”, but with great results all round. 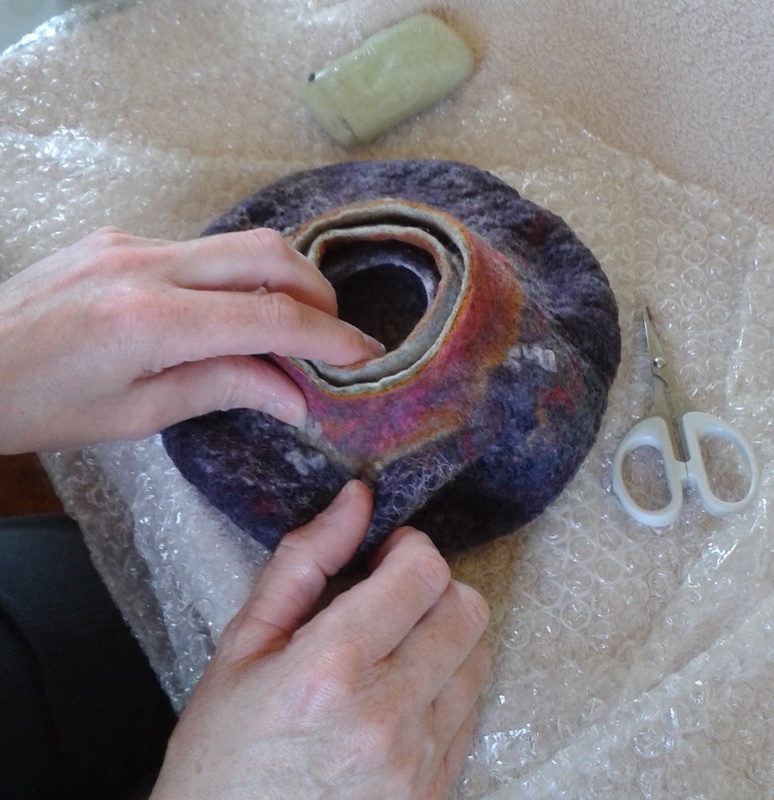 This was Jenny’s “Multiple Resist” workshop, in which she demonstrated how to create a bowl with the illusion of two smaller bowls inside it. 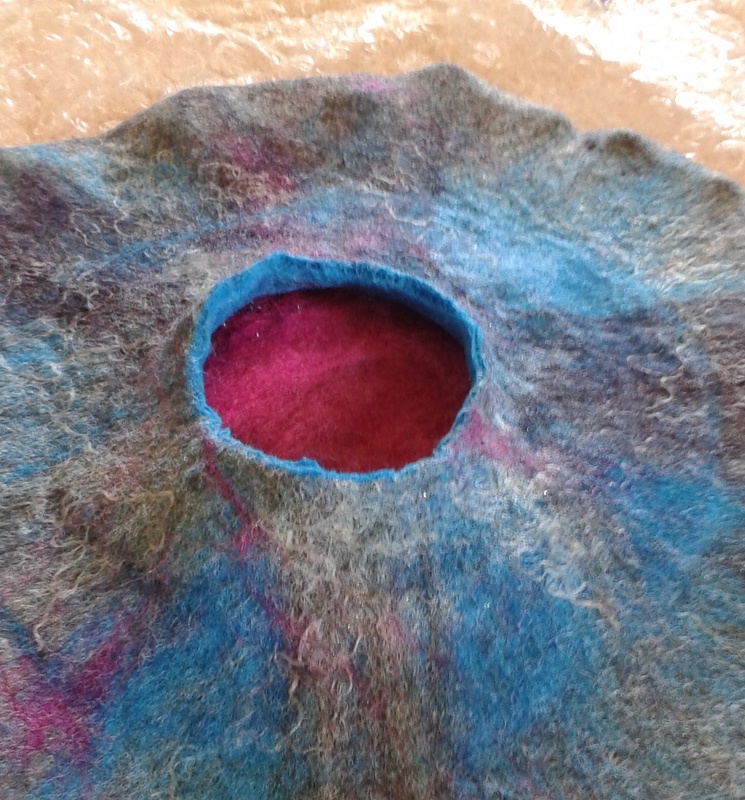 As with Jenny’s last workshop, we all began with the same size and shape of resist for our vessel but you can see from the photos, the end results were all very unique, which was brilliant. The piece has been rubbed and rolled and now the first layer is cut away to reveal the colour of the layer below. One of the bowls taking shape. 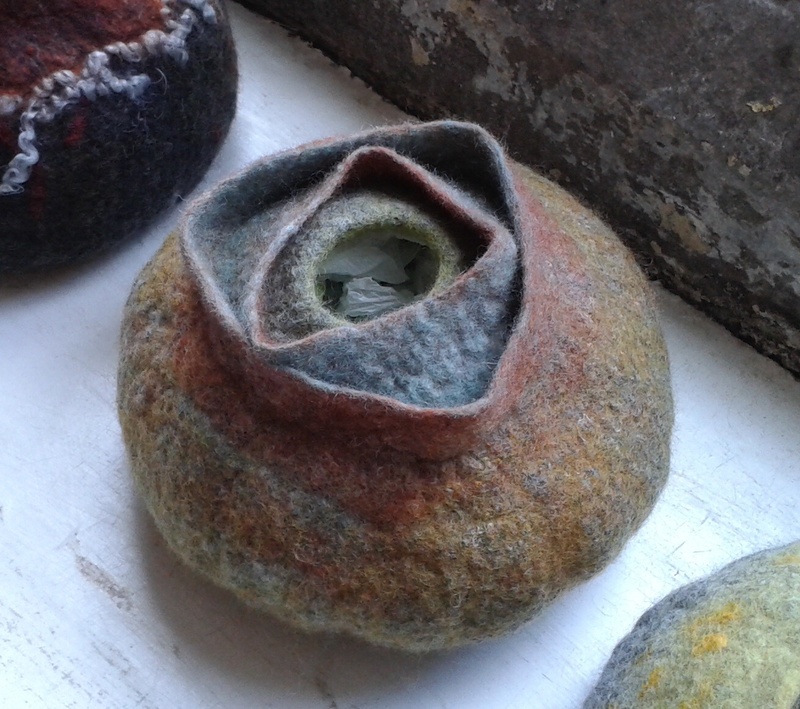 I chose to use a subtle colour scheme of greys and yellows and added snippets of yellow knitting wool and cream silks as embellishment. 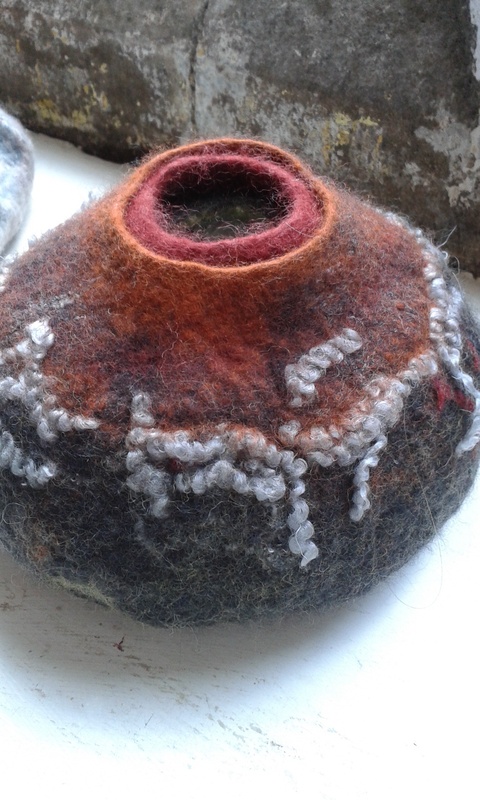 My bowl was looking more like a beret at this stage. Some of the other ladies made fabulously colourful bowls and some added extra interest by shaping the openings rather than leaving them circular. 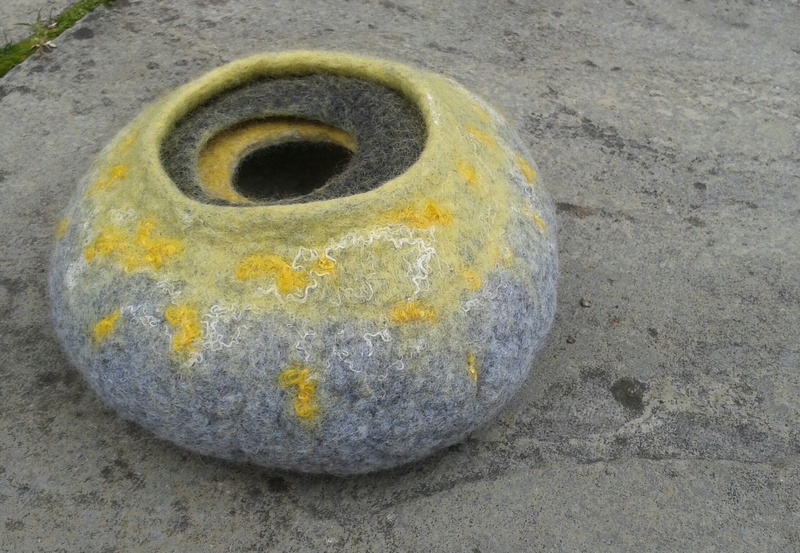 A beautiful bowl with an unusual shaped opening. 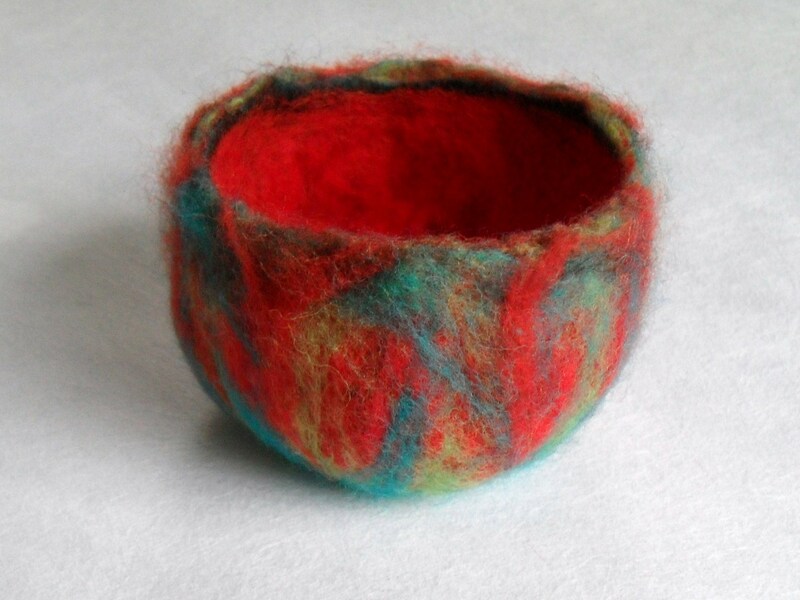 My first bowl…a bit fluffy and floppy and very poorly felted! 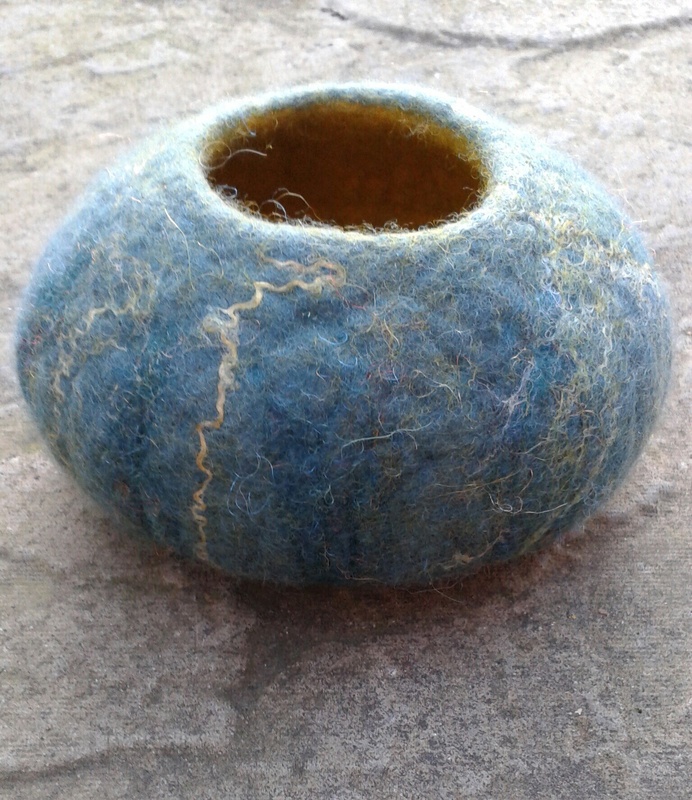 Wet felted Merino Bowl – 2nd attempt and feel like I am getting somewhere! Keep plodding and having fun with them! I love your three cornered pod, I must try making one of those. Hope your workshop in June is a big success! Ilove these pods. I am still plodding on with my pods.